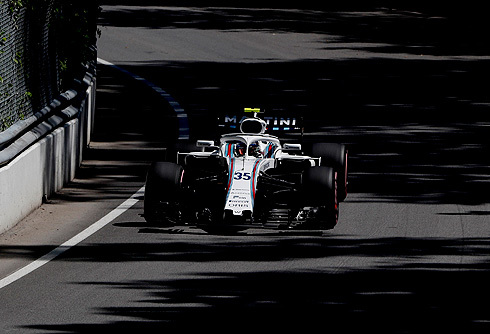 Qualifying for the 2018 Canadian GP would see more of the same from the Williams Martini team. 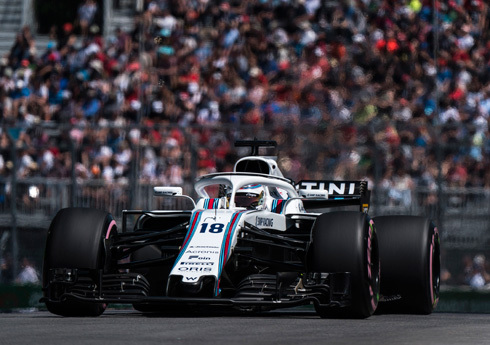 Lance Stroll and Sergey Sirotkin would again be faced with attempting to get a result from a car that simply is not competitive. As a result Lance and Sergey would finish in 17th and 18th. 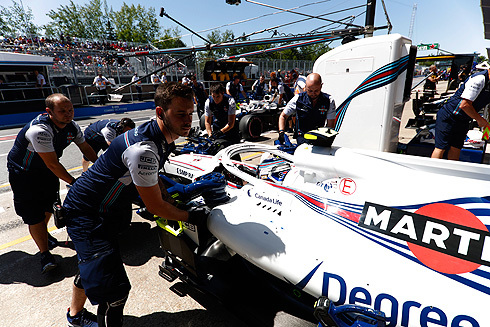 It was a session that saw no mistakes from the Williams team but again they struggled with the FW41. Sunday's race will be difficult but based on previous races a points scoring result is not out of the question. "It’s been a very difficult session. We were struggling to understand how to make the tyre work best in the hot conditions that we faced yesterday in FP2, and today in qualifying. This is crucial as you can play around with the car balance a lot but we missed the peak of the tyre completely. I really tried to be positive going into the session as we have been working on improvements and felt we had a better understanding of the car. However, I am quite disappointed we couldn’t fight." "I thought there was a bit more in it. I locked up in the last chicane on my best lap and that lost something like two and a half tenths. However, it would not have been enough to get into Q2, and not enough to get another position as we were six tenths off Gasly in P16. Unfortunately, we are not as competitive as we should be, but I am still happy with my first run and my performance. In the race it is a whole other story and I hope the race pace will be better, as last time I started 17th here I finished 9th, so anything is possible. This weekend will be very special as it is my home race, I love the energy and I have a lot of butterflies in a good way." "It was a good job done by the team today with no mistakes. The cars were as balanced as possible and we got the most out of them, but unfortunately the car simply does not have the pace that we need to compete for higher positions, for the same reasons that we have suffered with all year. We will look to see what we can do with the race tomorrow. Thank you to all the fans for the support here, including Lance’s fans at his home Grand Prix, especially those in the Lance Stroll grandstand. We are sorry that we don’t have a better car right now, but we will do what we can to fight in the race on Sunday."